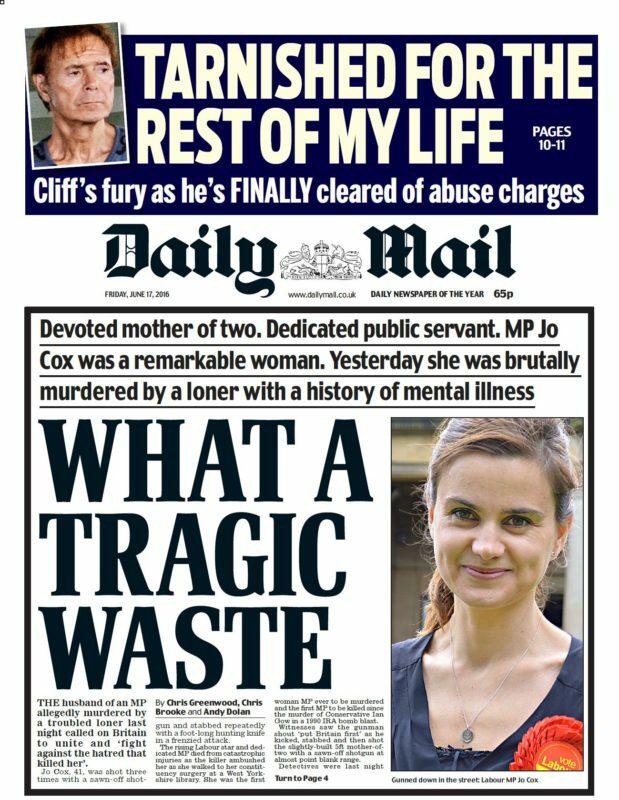 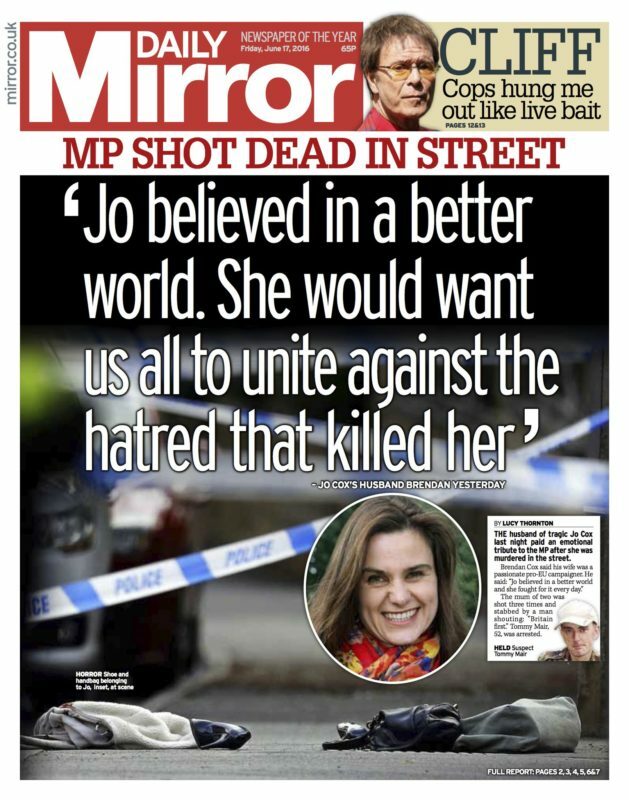 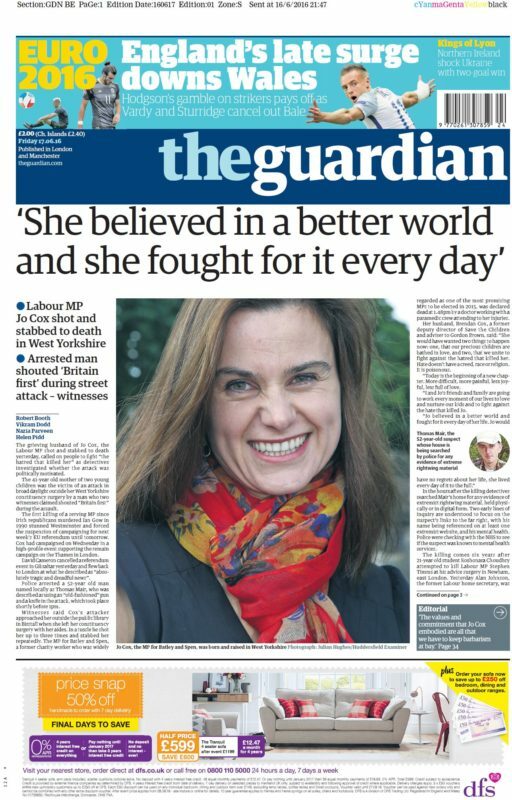 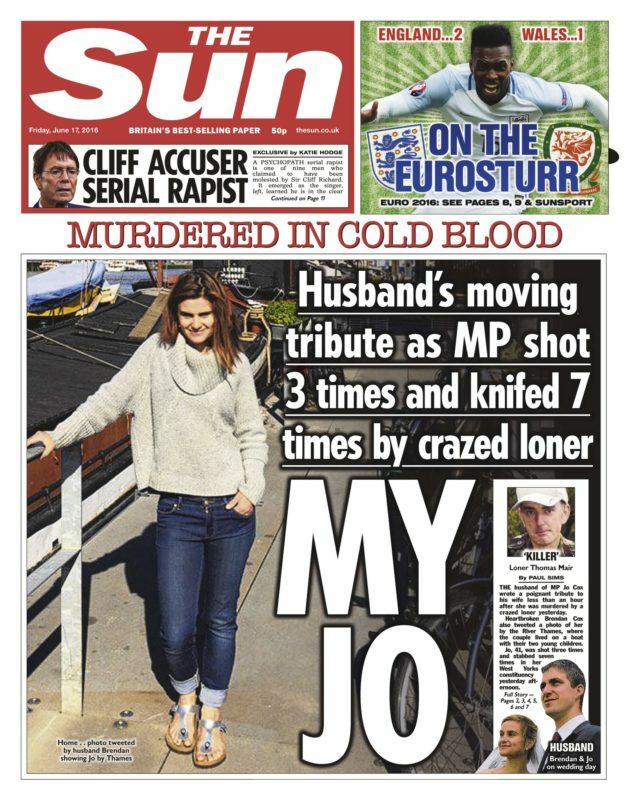 Daily titles in Yorkshire, where MP Jo Cox was born and raised, have paid tribute to the married mother-of-two after she was murdered in the street yesterday. 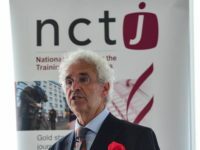 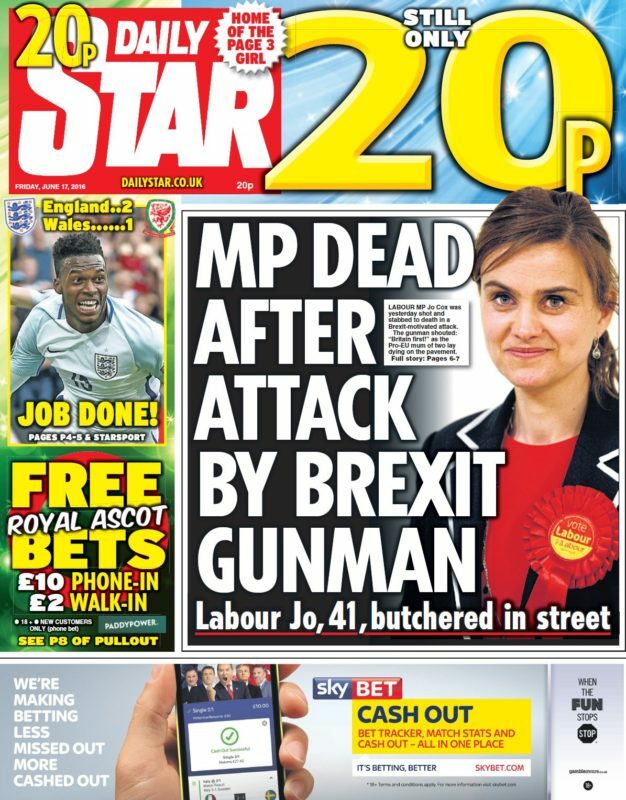 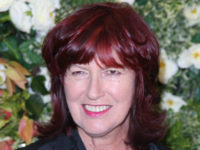 The death of the Labour rising star is on the front page of every national newspaper in the country today and saw fierce campaigning around the imminent EU referendum called to a halt yesterday out of respect. 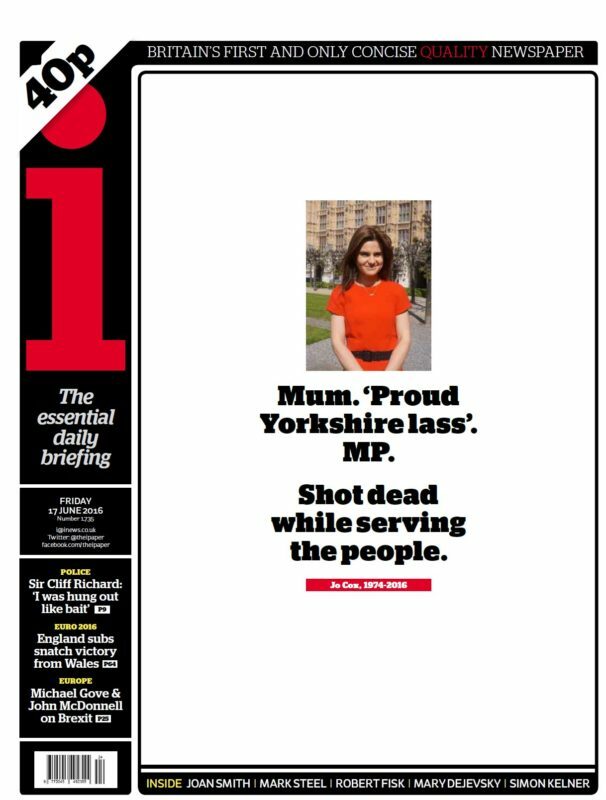 The Yorkshire Evening Post led with a front page tribute to the Batley and Spen MP, who was elected to parliament last year, with the headline “Our Jo” and a quote from her husband Brendan. 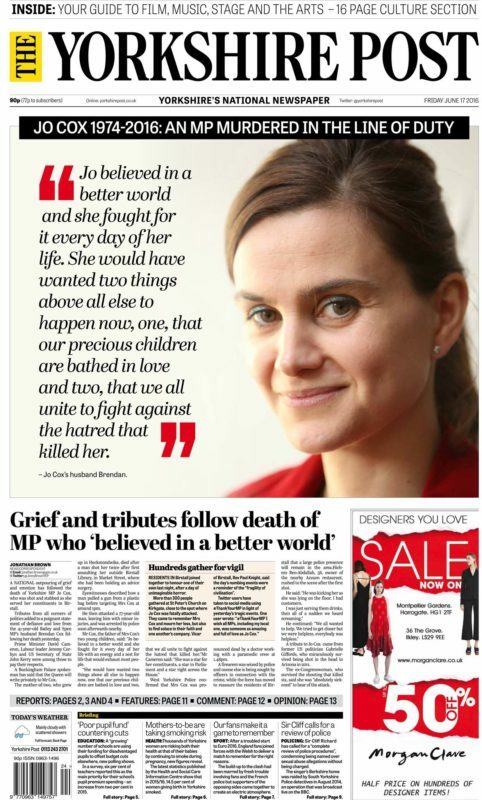 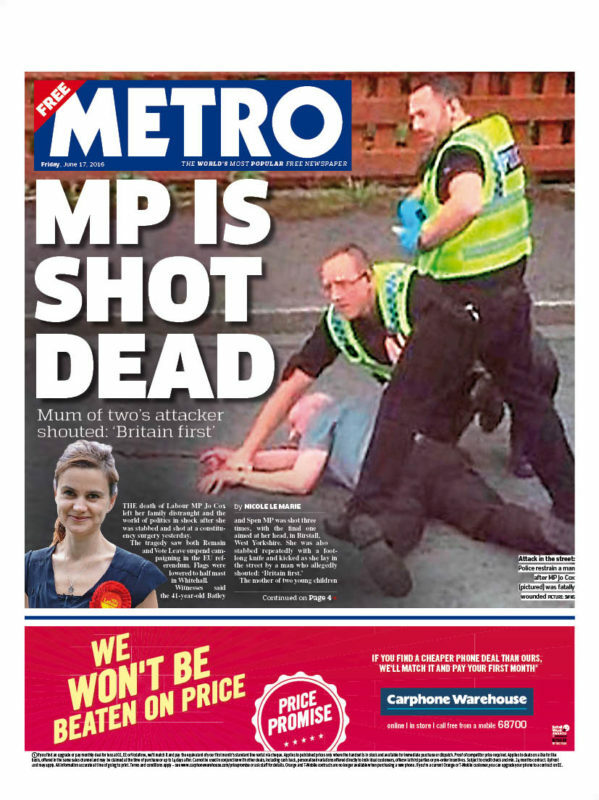 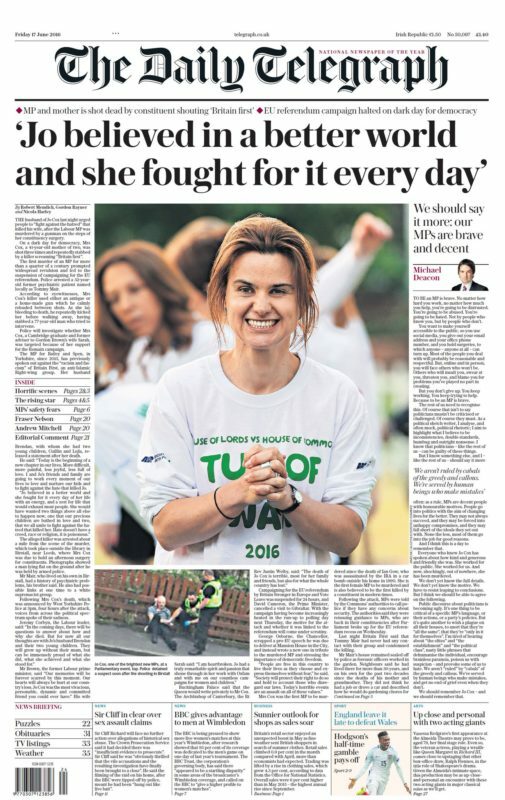 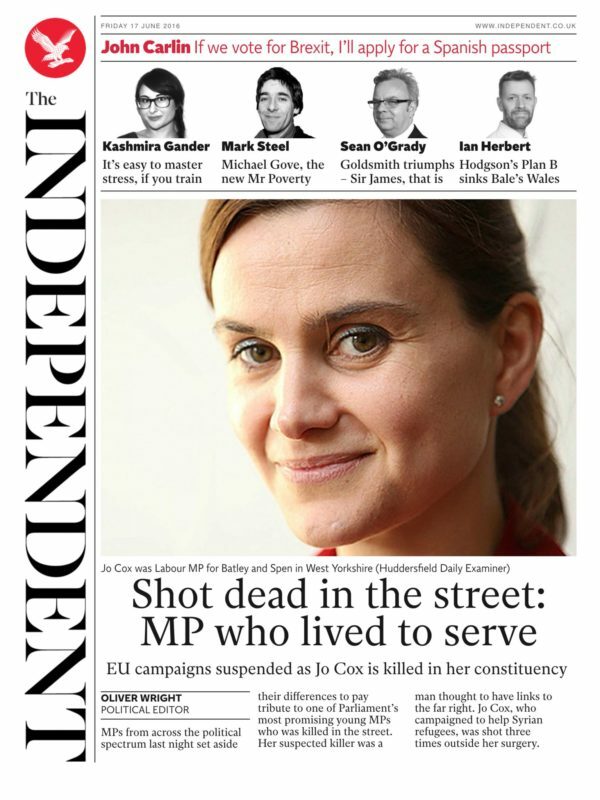 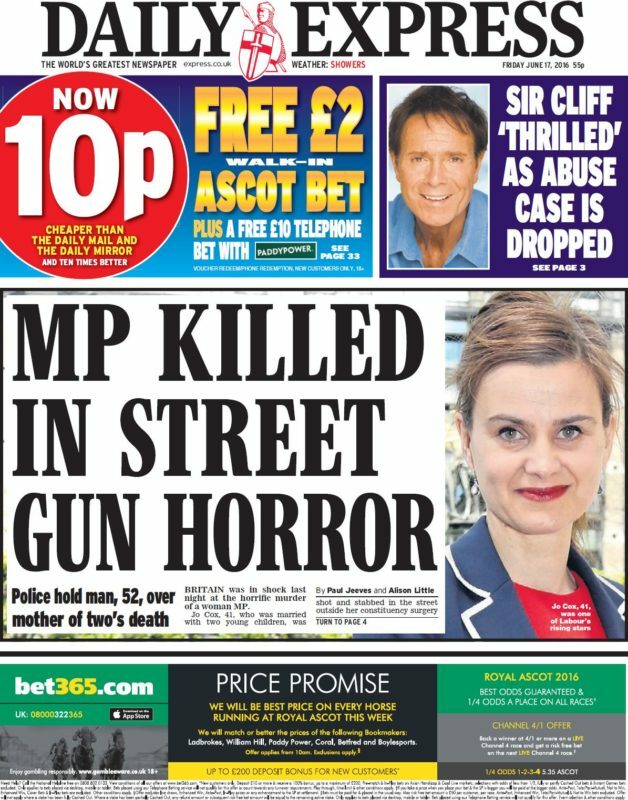 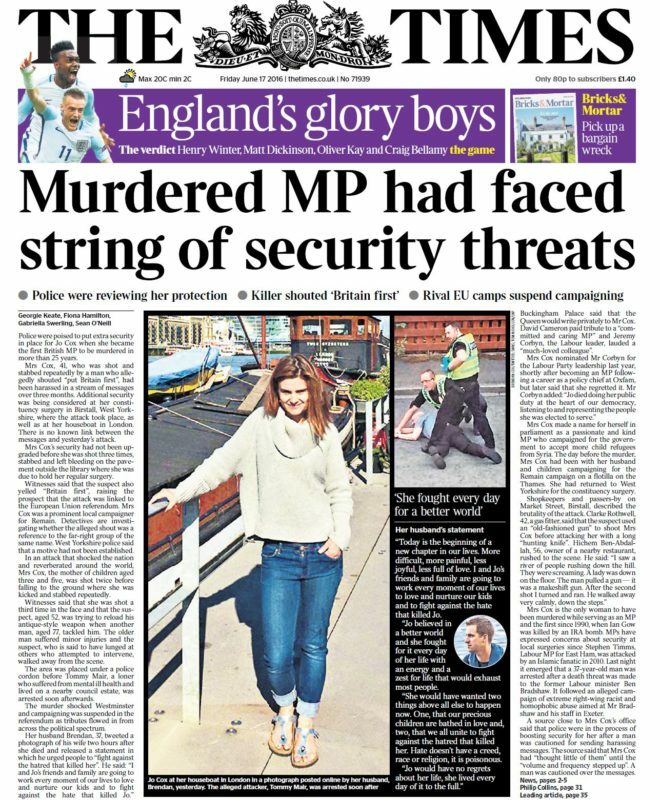 This morning’s Yorkshire Post also carried a front-page tribute to the MP, who was born in Batley, West Yorkshire, and educated at the University of Cambridge, declaring her an “MP murdered in the line of duty”.